I can always tell it’s time to do a detox when my thinking gets foggy and I start to struggle with energy. Also, if an old health issue like insomnia or heartburn or persistent acne starts to raise its ugly head again in my life, it’s a good indication that I need a cleanse. I did a 30 Day Juice Fast two years ago and it was an amazing experience. Life changing. I’ve been juicing for about 4 years, and while I don’t do long fasts very often, I try to incorporate fresh, organic – mostly vegetable with a little bit of fruit -juice into my regular diet a few times a week. Some weeks I do better than others. Another reason why I like to do a long fast is if I’ve ended a chapter of life and begun another. When I did the 30 day fast, my husband had just been laid off from work, we were gearing up for a huge roadtrip across the American Southwest, and it seemed like a great time to shed the old season and walk into the new. This fast is the same. I’ve just moved from Oklahoma to Florida and while I have so many big plans and ideas about what the next year or two might hold, I’d like to take the time to digest the last two years, in the setting of a fast, while allowing my body to let go of any accumulated toxins. 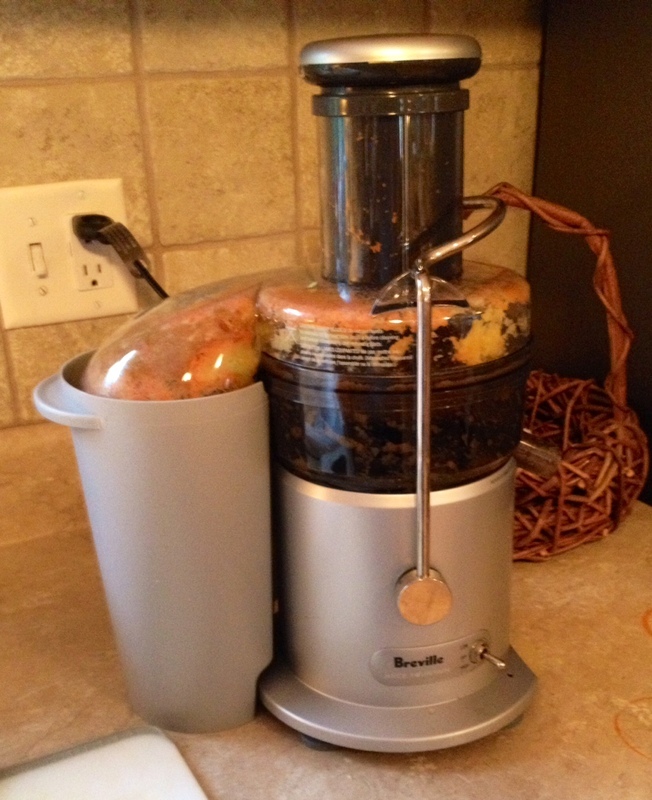 I have a photo above of the juicer I use – a Breville Juice Fountain. I will put a better photo up soon. I love it. Amazing machine. I’m sure there are better juicers out there, as well as worse, but I am really happy with my Breville. Come along with me as I write about my detox! Maybe it will be the inspiration you need to do one too. Perhaps not a 15 dayer, but maybe a one day fast would do your gut good and help to cleanse your organs. I promise – there’s something very special about fasting. Jesus said that some things only come by prayer and fasting. While I’m sure this is usually interpreted in a spiritual context, I believe that since God made our bodies, and fasting is a physical (and spiritual) discipline, that the benefit is multiple – both spiritual and physical. I always combine prayer with fasting. Some fasts are more spiritually focused, like when I am trying to hear from God or praying for something specific. I usually don’t blog about those because they are more personal. Other fasts (for me) are more physically focused, like when I am addressing health issues or wanting a cleanse. This is one of those. Many times while fasting, however, even when the focus is physical, there is a spiritual and emotional benefit. I am able to find clarity and wisdom about tough decisions or relationships that I have yet been unable to understand. But I digress. Let’s get started!